How long have you lived in Parkes? I am originally from Wellington, met my wife Jenny, who was born in Parkes, at university and moved here in 1980. We were involved in the fuel industry for many years, running service stations but decided to retire from that and bought the Greenparkes Garden Centre. I enjoy propagating and growing plants. It has always been an interest of mine and I can do it full time now! It is also good meeting customers. Rotary – I’ve always been involved in community organisations, but my focus is now Rotary. I have been involved for 25 years. I enjoy serving on committees as I;m a big picture person who enjoys knowing how things are run and how to improve them. I can’t drink coffee so I enjoy a cup of tea (not green tea!) and hot chocolate. The best part of a cuppa is sitting down and talking to people. Just being with happy and positive people, and hearing from the three grand kids – a new one will arrive in six weeks’ time! The Spacecat ladies started the day against Macquarie strong, with Emma Bailey quickly scoring beside the posts followed by a kick from Claire Barber. The next set saw strong runs from Demi Winter, Codie Wakefield, Emma Bailey, Sam Cox and on the last Katie Caldwell kicked and chased to tag Macquarie in goal. Pressure from Parkes created an opening for Emma Bailey to get her second with another successful kick from Claire Barber. Macquarie restarted with a kick to Elisha Naqua and a catch on the full followed by a great run by Sarah McAneney. Quick hands got the ball to Katie Caldwell who scored the Spacecats’ third and Claire Barbers third conversion. Again Macquarie started with a kick straight into Elisha Naqua’s hands, passed to Katie Caldwell who dashed 45m to score her fourth with a fourth kick from Claire. Codie Wakefield worked hard not to allow Macquarie any ground, tagging 5 girls in a row from marker position. Demi Winter scored another try for Parkes which took the half time score to Parkes 28 Macquarie 0. The second half saw Emma Bailey score a quick try with Claire adding 2. Macquarie get the ball in the next set and are hungry for a try but excellent defence from Parkes deny them. An overzealous kick from Macquarie allows Emma Bailey to run and score her fourth try with an on form Claire adding the 2. Captain Hannah Kelly worked hard all game and scored out wide through a sleeping Macquarie defence. The final try of the game went to Demi Winter taking the final score to an impressive Parkes 56 Macquarie 0. Macquarie kicked to begin the game and Josh Amberge worked hard to make it out of goal. With a lot of ground made Jye Dillon kicked and scored in the opening minutes, James Goonrey with a kick right in front. Jay Slavin made a run in the next set but Macquarie began to make ground until a crash tackle from Jacob Smede. Jye Dillon goes over for his second after a few errors from Macquarie and effort from Billy Porter, Bailey Jones and Stephen Purcell. A bad bounce from Macquarie sees Jacob Smede make a 30 metre run and Josh Amberge goes over for the spacemen’s 3rd, resulting in a 16-0 lead for Parkes. Great chase and a big hits from Bailey Jones, Wilbur Smith, Jye Dillon, Jay Slavin and James Goonrey. Josh Amberge took off down the sideline and managed to stay in with great footwork while Jia Hoe made a run and got hit hard. A penalty was awarded and Ethan Richards pumped his legs to get Zac Gordon within centimetres of the line. On the last James Goonrey toed the ball to Macquarie and with an error Parkes got it back and out to Jay Slavin and over he went to give James Goonrey a kick in front, taking the half time score to Parkes 22 Macquarie 0. Macquarie opened the second half with a try and successful conversion. Toby Clarke saved the day with a great tackle after Macquarie intercepted and Ethan Richards and Zac Gordon both make big runs but with no reward. The junior Spacemen begin to tire and Macquarie gain advantage, scoring their third try. On the kick Parkes find some energy and get within 10 metres but fail to get over the line. Ethan Richards gets a loose ball and uses his legs to gain an extra 10. Macquarie strip the ball to give away a penalty right in front and Parkes opt for a kick to end the game, making the final score Parkes 24 Macquarie 16. A beautiful Saturday morning was the setting for the first round of junior netball. There is now an extra team in the Super 8’s division, the Butterfly’s will play their first game tomorrow. Just a reminder that NetSetGo will begin on 21st may for all players aged under 7, if you have not yet registered pleased head down to the courts on Saturday and see Jenny Ryan. Remember that Parkes and District netball association will be holding their annual general meeting next Monday 16th May at the Parkes Services Club at 7pm. Each team is to send a representative for one bonus competition point. Round 2 brought the Nyngan Tigers to Parkes Pioneer Oval for ladies league tag. 18 girls sang Captain Hannah Kelly happy birthday before getting ready for a repeat of the 2015 semi-final, hoping the outcome would be the same. Nyngan kicked to start and nice passes from Ella J Harris, Hannah Kelly and Britt Ryan saw Demi Winter get close but no try. The ball found its way across the field to Britt Dumesny who ran through Nyngan’s defence but didn’t manage to score. With no points on the board Katie Caldwell and Ella J Harris came on. Ella J Harris took the ball in goal and got it back to the 20 with great stepping and hard running. With great pressure and runs from Nat Gardiner, Nicole Mapperson, Louise McAneney and Codie Wakefield the ball went over for Parkes’ second. Nyngan managed to put some points on the board six minutes before half time. Emma Bailey retaliated by tagging 3 tigers in a row from marker. Sarah McAneney had a busting run with an off load from Katie Caldwell to score under the posts and a kick by Ella J Harris added the 2. A short kick by Nyngan went out after a bounce that left Parkes with a lot of defending to do before half time, leading to a score of Parkes 14- Nyngan 6 at the half time whistle. The second half saw Parkes running left to right in what they hoped would be a half empty of tries for Nyngan. Great chase and pressure from the Parkes girls saw Nyngan knock on and Parkes get the ball 20 out. Emma Bailey scored a try followed by a deep kick from Nyngan straight into the hands of Katie Caldwell who dived under the posts for her second. Claire Barber delivered a successful conversion and another great run, racking up another four points for Parkes. With controlled passes Demi Winter upped the pace and scored her first try, conversion by Ella J Harris. Again, Demi received the ball and was over again for her second. Parkes Spacecats were the victors of the day with an end score of Parkes 40- Nyngan 6. The Parkes Spacemen executive along with the league tag team would like to thank their major Guernsey sponsor Parkes Services Club and Sleeve sponsors. 1. Simply Bellissima by Kim, 2. Cunninghams IGA Parkes, 3. Nicko’s Bricklaying, 4. Parkes GP, 5. Bunnamagoo Wines, 6. BMJC (The Moran boy’s), 7. La Bella, 8. Dippin Dots, 9. Parkes Mensland, 10. Thd studio, 11. Parkes Railway Bowling Club, 12. Parkes Services Club, 13. Nangar Gems. Parkes Musical and Dramatic Society are currently in final rehearsals for the smash hit musical, Footloose! Based on the 1989 movie starring Kevin Bacon and Lori Singer, this high energy show will be sure to get feet tapping and hips wiggling. Footloose is a musical of layers, with a wonderful combination of catchy dance tunes, beautiful ballads and a deep and meaningful storyline sure to resonate with every audience member. When Ren (Morgan Flynn) and his mother (Christa Radley) move from Chicago to the small country town of Bomont, Ren is prepared for the inevitable adjustment period at his new high school. What he isn’t prepared for are the rigorous local laws, including a ban on dancing instituted by a local preacher determined to exercise control over the town’s youth. When the reverend’s rebellious daughter, Ariel, sets her sights on Ren, her roughneck boyfriend Chuck becomes determined to keep them apart at any cost. Many of the locals are eager to believe the worst about the new kid as he tries to bring some light-hearted fun back into Bomont. How long have you lived in Parkes? 15 years. Where do you work? I am the Aboriginal Project Officer at Parkes Neighbourhood Central. My position is funded by Northparkes Mines and Parkes Shire Council. What do you enjoy most about your work? My work entails closing the gap in the areas of health, education, early childhood, economic development, transport and housing so I enjoy working with the community and getting positive outcomes, as well as sharing information with new people in town. How do you like your coffee? I don’t drink coffee but still like a cold shot of caffeine by drinking Coke Zero. What makes your day? Going home knowing I’ve had successful outcomes and having my children greet me. What is your favourite food? Greek food. I enjoy the Greek restaurants in Sydney. What is your worst habit? I can’t leave my house when my bed is not made! It really stresses me out. Spring is traditionally known as a bustling, busy time where everything and everyone gets a new lease of life, so surely it’s the best time of year for a house sell? Well, apparently not. 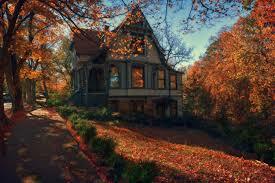 According to real estate agents autumn is the season in which you’re far more likely to sell your property. While it’s true that people become more active as the weather begins to warm, potentially leading to a larger amount of buyers, a lot of other sellers have the same idea and the market can become flooded with listings, drowning yours out in the process. Real estate agents are often more successful at converting a listing into a sale in autumn rather than spring thanks to quality over quantity, fewer listings mean more chance of a sale. December and January are the months where people take holidays and have time to research the market so by the time they’re ready to make a decision autumn is upon them. It’s a good idea to prepare you property advertising in the lead up to this season and don’t forget to play up to your outdoor assets if you have an outdoor yard or garden. Autumn is a beautiful season with lots of colour so a few trees with changing leaves and well placed ornaments can really make your house stand out from the rest. Sheep farmers are being warned to stay alert for the tapeworm Taenina ovis, otherwise known as sheep measles. The worm is a parasite in which the adult stage can be found in the intestines of dogs whilst the intermediate or larval stage can be found in the muscles of sheep. Sheep can be infected by grazing pasture contaminated with eggs that have been shed in dog’s faeces. The intermediate stage in sheep is characterised by small cysts in the muscle tissue. Lesions can then ooccur in the sheep’s heart and diaphragm usually resulting in the animal being condemned. In general many producers are lax when it comes to worming their farm dogs regularly, meaning they fail to break the lifecycle of the tapeworm. Farmers are advised to treat all dogs on their properties with a tape wormer that contains Praziquantel once a month as the parasites lifecycle is 35 days, which is more frequent than the original recommendation of worming every six weeks. Economically, sheep measles can cost the industry millions of dollars per year so it’s within those who work in agricultures interests to try and keep this to a minimum. This information was provided by the Department of Agriculture and Food.